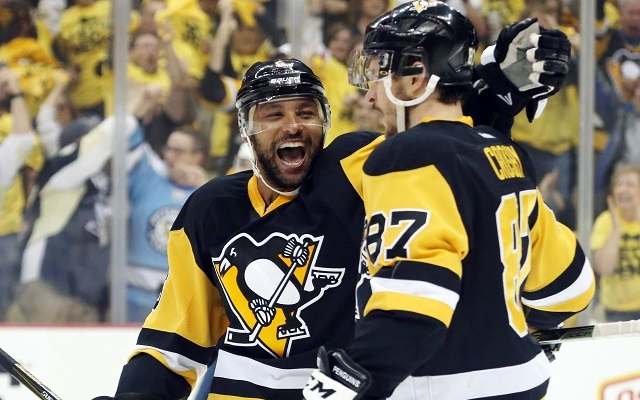 The Penguins looked to lose key parts of their back-to-back championships and Trevor Daley was likely one of those expected to depart. Now we have confirmation of his moving on. An unexpected pick up from the Blackhawks for Rob Scuderi (answering many prayers), Daley turned out to be a vital puck moving defenseman on the blue line through two Cup runs. Reviving his career, which had stalled in Chicago, he moves on to the rebuilding Red Wings where he's likely to anchor a young blue line. Minutes away from being official, Red Wings have agreed to 3 years at $3M AAV for defenseman Trevor Daley.